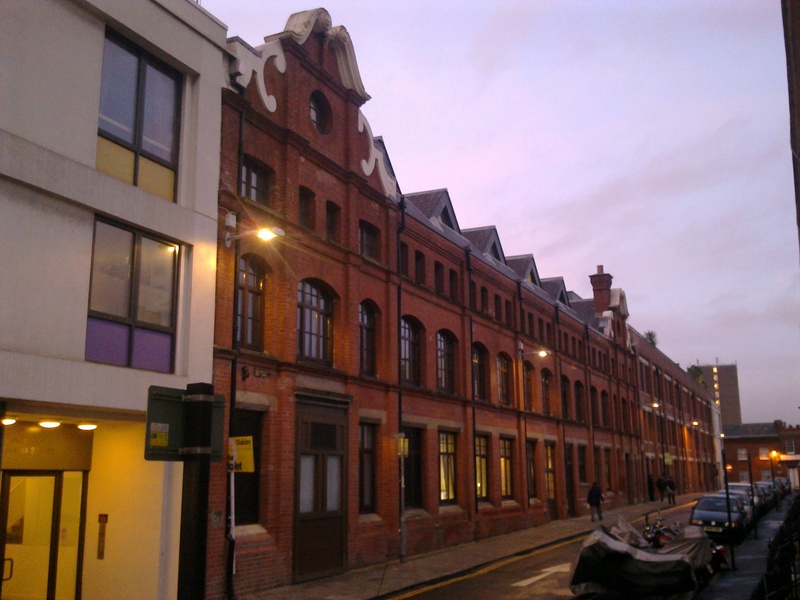 Taking up an entire block between Robert Street and Kensington Street in the North Laine, the Argus Lofts mixed-use development occupies an extremely large site in an area consisting primarily of small individual shops. 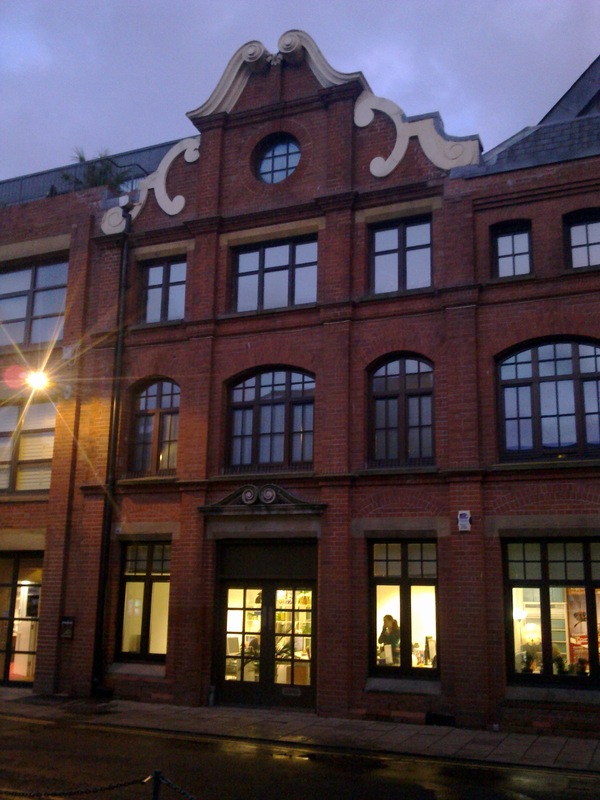 The five storey complex today consists of a central red-brick section (made up of two adjoining older structures) with extensions faced with stone and coloured panels at either end. One of the extensions in fact replaced an earlier addition by John Wells-Thorpe, the architect responsible for Hove Town Hall. The practice responsible for the conversion though was Conran & Partners and the work was complete by 2003. As its name suggests, there is a connection with the Argus newspaper. The local daily occupied the site from 1926-1992 and that publication’s famous reporter, Adam Trimingham, recalls the building well. The printing presses were in the cavernous basement beneath and everything shook when they were in operation! The basement is now tenanted by The Basement, a firm offering a variety of flexible spaces to experimental performers. I’m lucky enough to have seen around what must be two of the best apartments in the building. The first was a penthouse-inspired flat at the top of the northern extension. A good friend of mine was staying there and I remember being impressed by the art in the communal hallways and the interior finish generally. That particular flat’s exterior space was its greatest asset as it was at least the same area as the interior. There were problems though. I remember finding it hilarious in 2005 that water once came pouring in through the lights in the ceiling during a storm. As more pipes became blocked, it then came up though the floor. I shouldn’t have laughed but what are friends for? There was also a rat infestation in 2007. The second flat, much more recently, was a proper loft-style apartment with bare-brick walls, an open-plan living area, a spiral staircase and a bed up in the rafters. The owner, a reader of this column in fact, thoroughly enjoys city centre living and I can certainly see the attraction. I imagine that the destruction of the old sections was discussed when the development of the site was considered and I’m just grateful that they survived. The use of the best bits of the existing landmark was key to the scheme’s success and the new additions, aesthetically at least, worked tremendously well.